Our Granny Flats are design are exclusive to Classic designed by experienced design consultants with over 75 years of experience. In Australia’s glorious climate Outdoor Living is very important to all of us. Creating an Outdoor Alfresco that is both cool in summer and warm in winter is essential in enabling you to enjoy the maximum portion of the year outdoors. 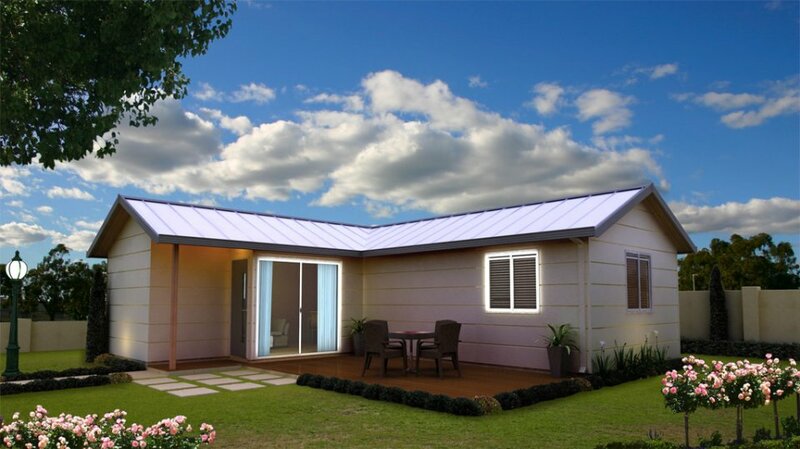 Classic Granny Flats is the premier source of custom-made granny flats in Western Australia. We design, manufacture, and install self-contained homes in backyards of any size. With our years of experience in the industry, we ensure first-class service and assistance to our valued clients. At Classic Granny Flats, we put great emphasis on quality and functional value. We do not want you to settle with just any standard design. Extremely happy to date with our insulated colourbond Patio (it’s been up for 2 weeks now), 2 sides of the house, a hip end gable as the main entertainment area and a flat roof down the side. Matt did an excellent job installing, I would say above and beyond, even just the small touches like brickwork, site tidyup etc, highly recommended. Once council approval was attained it only took a week to install, and they also had someone come out and re-render the roof tiles which was more than i was expecting. I had lighting installed yesterday and Classic looked after us with extra brackets to mount the lights. Highly recommended. Four years after having my beautiful granny flat built, it is still my perfect home. There has been no maintenance required because of the excellent workmanship in the construction back in January 2014. Thankyou Paul, Steve and Staff and hope you all have a Very Merry Christmas. We started with Ron, from Classic , who provided us with his expert and experienced advice and recommendations ; nothing was too much trouble for this man . Following the necessary approvals we were introduced to Matt the installer. What a difference a day, or two, makes. Matt provided us with fantastic service and had the installation completed within two days. His professionalism and attention to detail made for a very successful outcome and we are thoroughly enjoying the Patio. With these gentlemen involved with Classic Patios and Pools you can have confidence should you choose from the Classic range of products. We chose Classic Patios to build our insulated gable patio which had to fit between the house and a garage which were at two different levels. Steve the salesman produced a design that fitted our needs and Tania in the office explained the process with her helpful emails. We were so very fortunate to have Trevor as our installer. His work is very professional and his attention to detail is incredible. He made the patio into a wonderful addition to our home. The clean up during and at the completion of the build is fantastic every bit of material is contained and taken away. Thank you Classic. My wife and I have just completed having a granny flat built.Classic Patio and Pools were very professional to deal with .We were impressed with vast array of tradies that worked on the building.Not only were they very good at their job but they were polite and respectful in the manner they went about working around our house during the building programme.